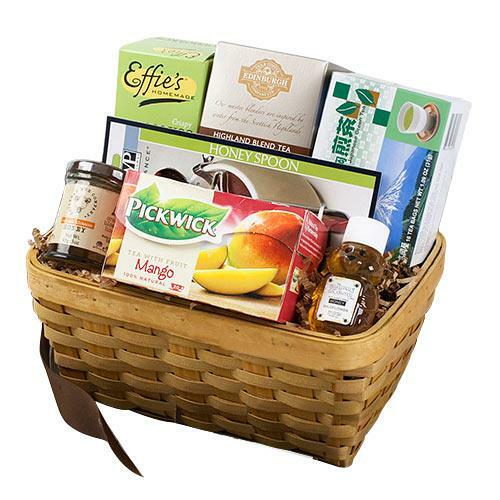 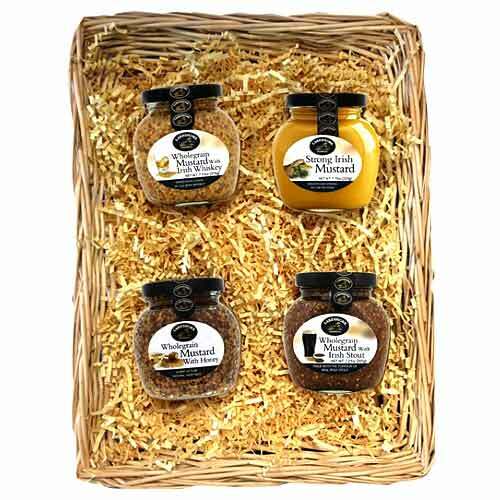 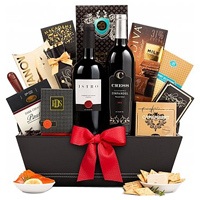 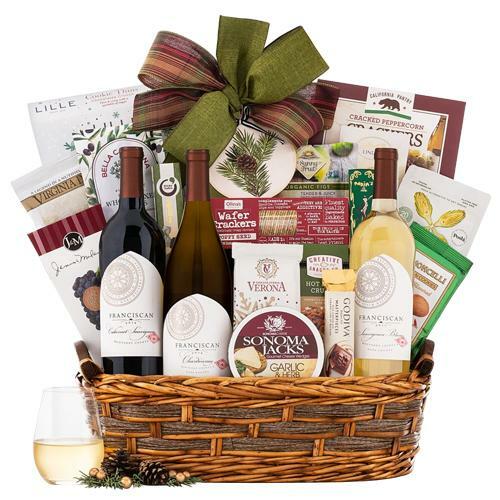 Product Title : Ravishing Gourmet Fruit wine Gift Basket. 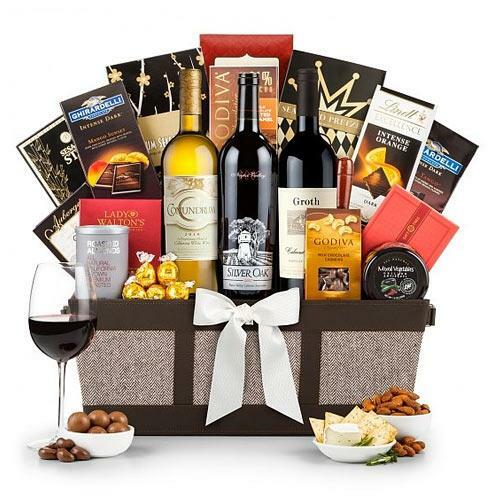 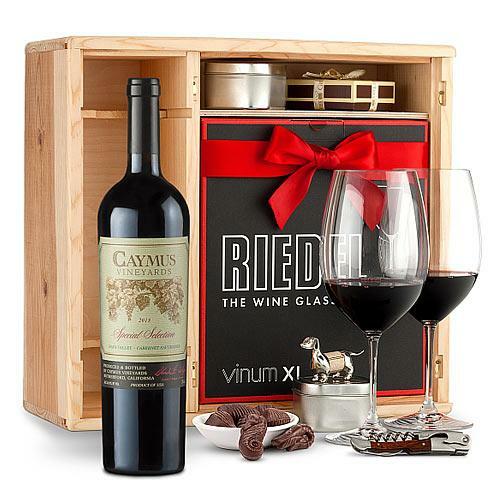 Product Details : Celebrate with your loved ones by sending online this ravishing gourmet wine gift basket. 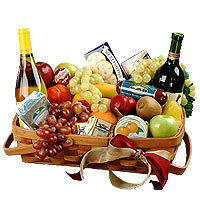 Basket is a perfect blend of Fresh Fruits n gourmet items such as cheeses, crackers, and hard salami. 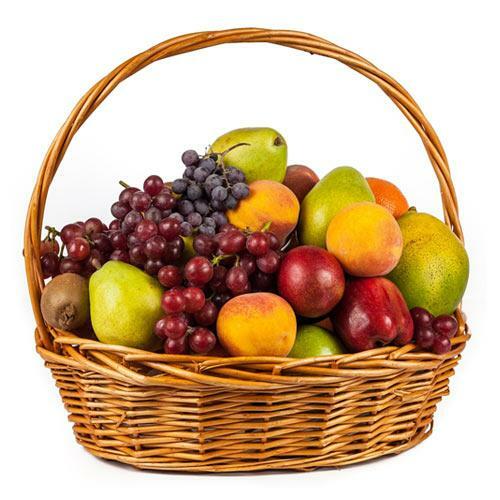 The attractive wicker basket is also filled with fresh fruit such as apples, oranges, bananas and grapes. 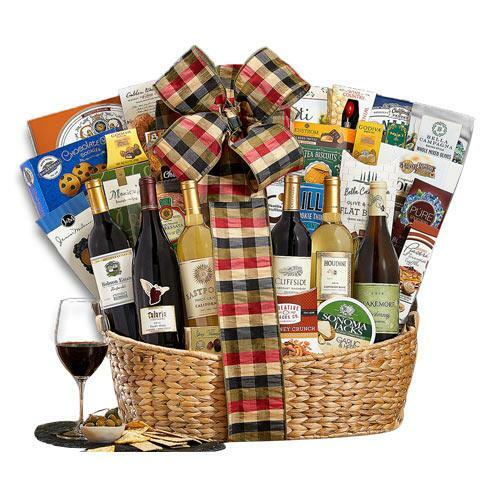 Express your emotions by sending this truly original Gourmet Fruit Wine Gift Basket.